This railroad spike bottle opener was made in Itasca, Illinois at a steel factory that manufactures for American railroads. It’s heavy, tough, and on track when it comes to starting a conversation. I love the heft of this opener. My son loves the fact that it's a piece of real railroad material. It works great, too! 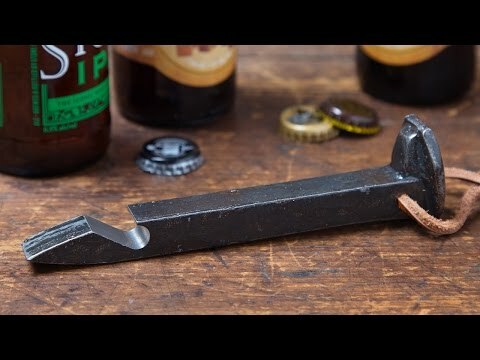 Awesome tool-bottle opener! Love it; Great 'feel'. Great gift to friends & family. 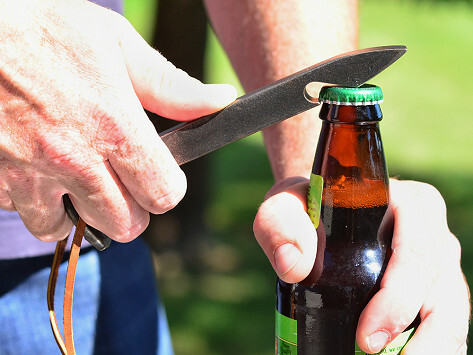 Best dang bottle opener ever made. I defiy any bottle to resist its mechanical charms. The hefty-but-practical design is a nod to America’s history and a conversation starter all in one.